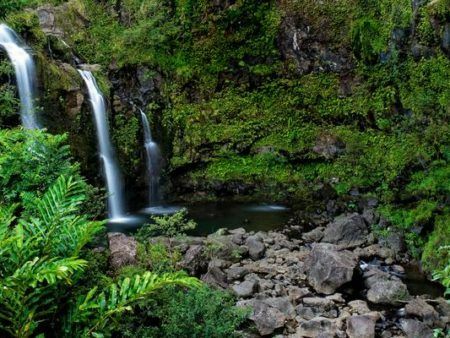 One of the top “things to do” in Maui is the Road to Hana. 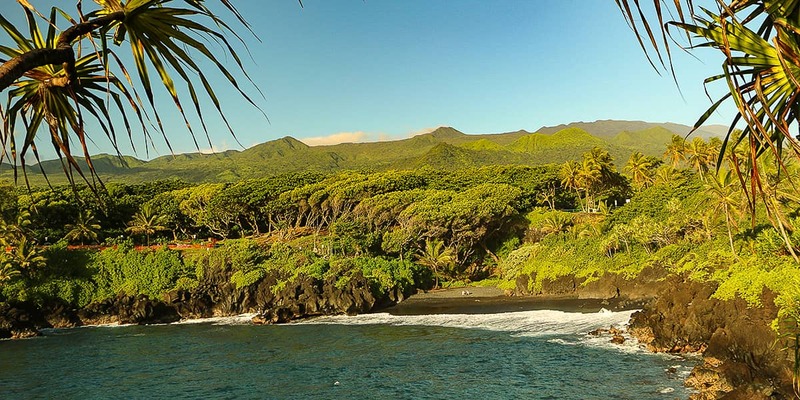 Hana Highway starts in Kahului (were the airport is) and travels past the hippie surf town of Paia, through the rainforest and into the town of Hana on Maui’s eastern coast in 51 miles. Driving it yourself non-stop can take up to 3 hours. This is because there are over 600 hairpin corners, many of them blind corners, that travel through rainforests and along towering ocean cliffs. Add to the drive over 50 one lane bridges, stopping at overlooks, waterfalls and a famous black sand beach, navigating around lost tourist not sure where to stop (this may be you) and local resident traffic just trying to quickly get home or to work and you have an eight to ten hour day of white-knuckled sightseeing – but it’s totally worth it. 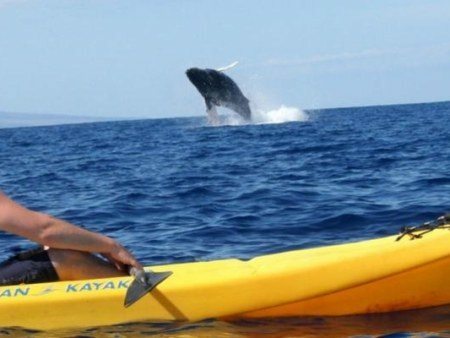 This side of Maui is like nothing else in Hawai’i. It’s one of the last parts of “old Hawai’i” that exists, so remote that the ancient Hawaiian way of life still resides here. 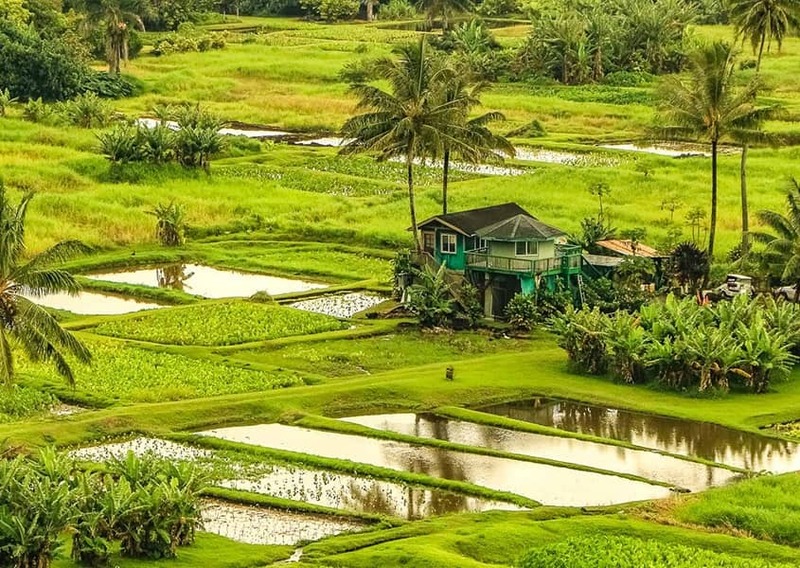 Taro fields cover a once rocky peninsula filled in by hand with soil centuries ago. 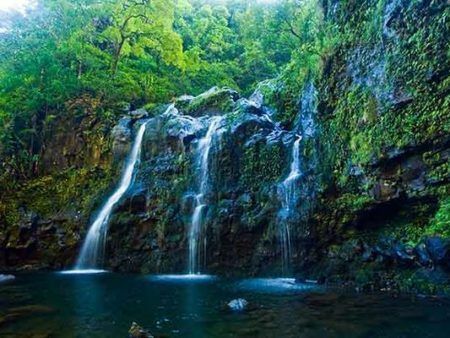 Fruits cultivated for hundreds of years produce incredible flavors and more waterfalls than can be visited in a day are all reasons Hana has always been one of the top 3 things to do in Maui! 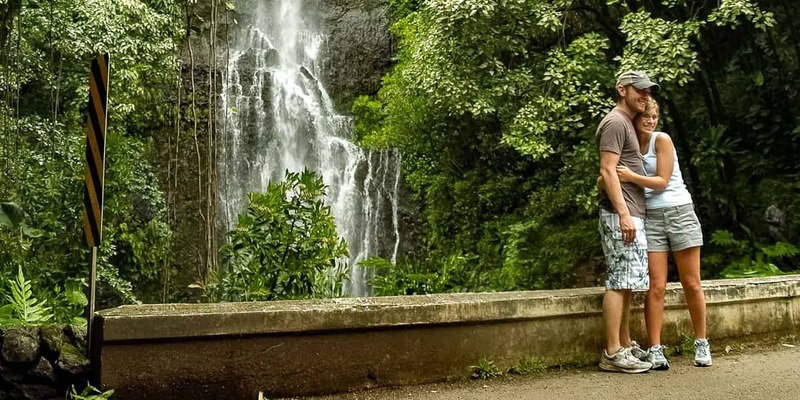 There are several ways to experience the road to Hana. Some only go halfway to Hana and back. 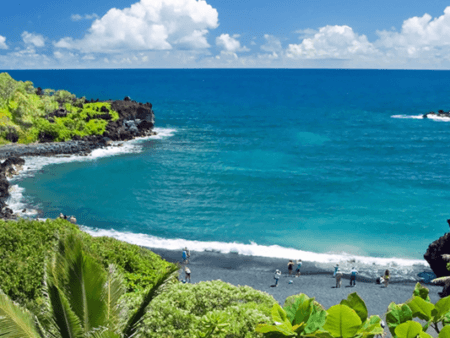 Some go to Hana and back taking in the black sand beach while others continue past Hana to the Pools of Oheo in Haleakala National Park and then return. Still others continue past the Pools of Oheo and do the “full loop” around Haleakala going around the dry leeward side to the green slopes of upcountry Maui and back down to Kahului. In almost every case you’re looking at a 10 to 12 hour day. 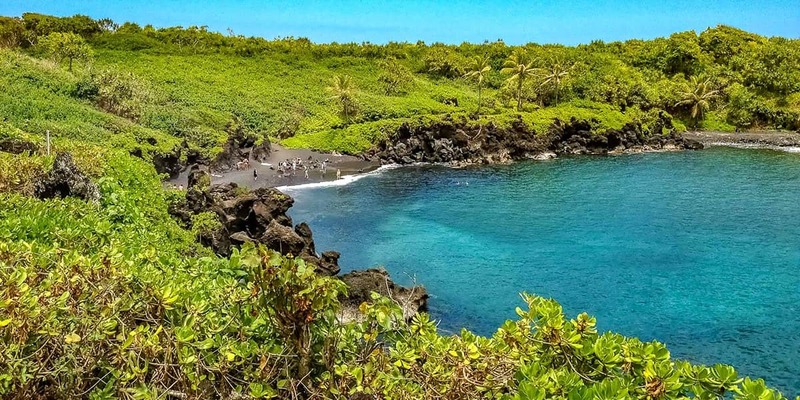 If you truly wish to experience the best of the road to Hana in a relaxed and entertaining way, we recommend a road to Hana tour. 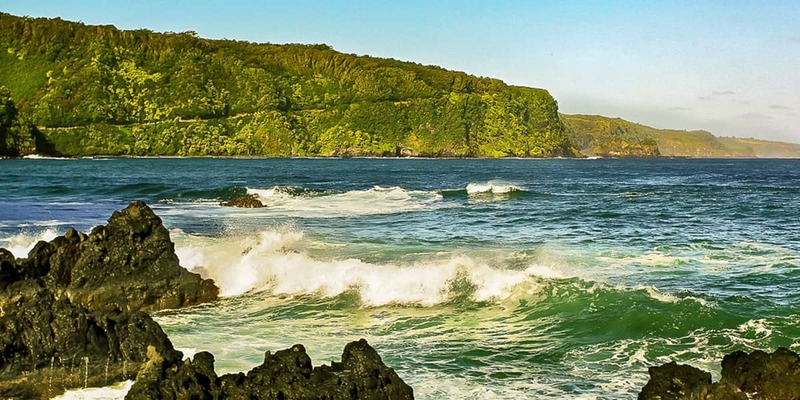 Professional drivers know about the culture, legends, and history of Maui’s “Hana side” share stories of life on Maui while visitors relax in the comfort of custom vans built for the road. Food and beverages are provided along with the experience of knowing were to stop and for how long, maximizing the things you’ll see and do much better than you would on your own. 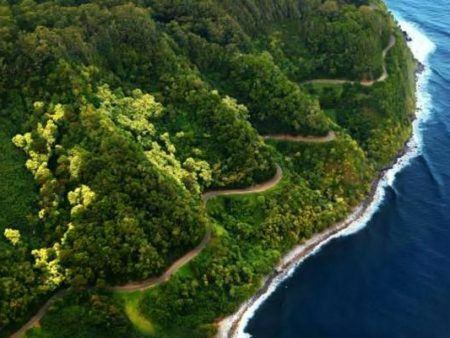 We can help you chose the perfect road to Hana experience for you! 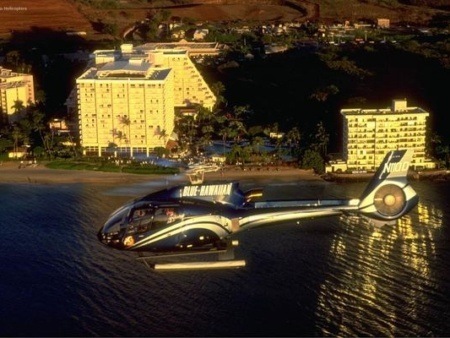 From full day “loop” tours that include a stop at the Pools of Oheo to fly/drive tours that include a one way, van tour, and a helicopter ride return, the road to Hana is something not to be missed during your Maui vacation! 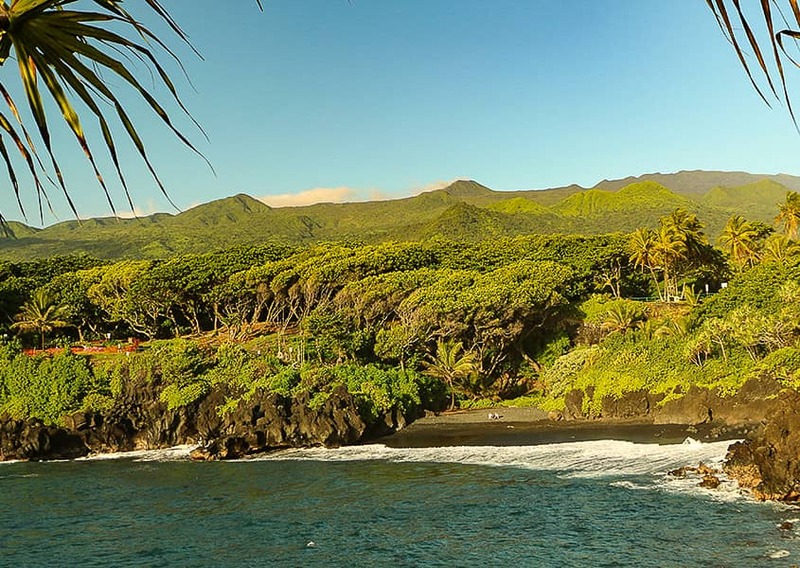 At the northern edge of Hana Bay stands Kau’iki Hill, a cinder cone that overlooks the Hana coastline. In ancient times it was a fortress and strategic fall back position in times of war. Kau’iki Hill has several legends attached to it. It was said to be the home of the demigod Maui. 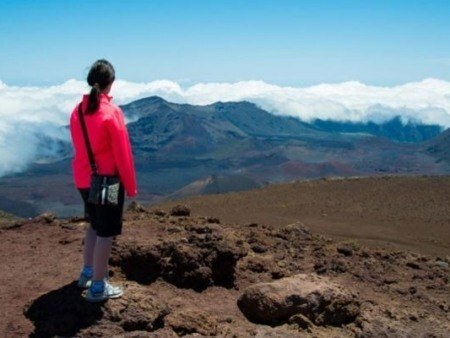 It was from here that he ventured to Haleakala Crater to capture the sun and slow its journey across the sky, making the days longer and warmer. Queen Ka’ahumanu was born in a cave at the foot of Kau’iki Hill in Hana. She would become the first and favorite wife of Kamehameha and was his close advisor during the battles to conquer the island chain. She would go on to be a co-ruler of the kingdom who exerted great power and influence. Road to Hana fruit stands have some of the best banana bread you’ll ever try. We recommend getting several loaves from different spots to compare but our favorite is Aunty Sandy’s at Keanae Peninsula. 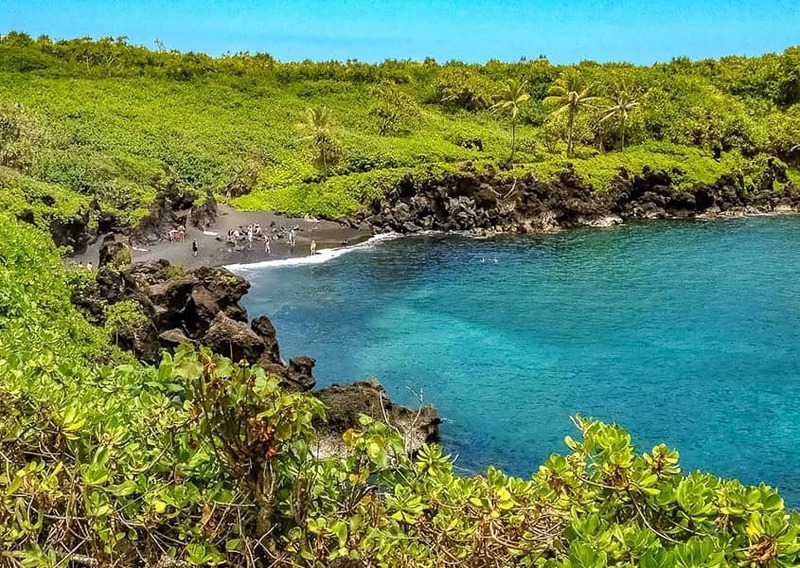 There are few safe ocean swimming spots along Hana’s rugged coastline but the black sand beach at Waianapanapa State Park, the beach at Hana Bay and Hamoa Beach just past Hana are good for experienced swimmers on calm days. There are lots of great places to eat along the road and in Hana town but they could take up a sizable chunk of your day. Service can be notoriously slow in this laid back side of the island. It’s best to bring your own food or take a tour that provides lunch. 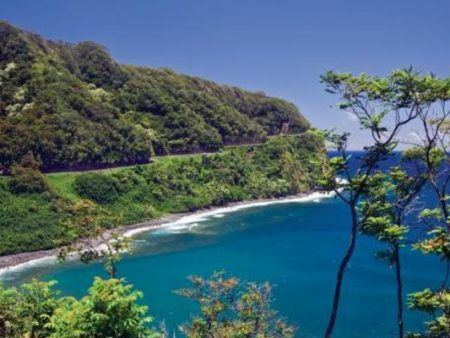 Be sure to learn the etiquette of driving the road to Hana. With over 1 million visitors driving the road each year it’s important to know how to show respect to the residents and spread the Aloha to fellow travelers during your drive. Captain Cook and his two ships stopped on Maui in 1778 but never came ashore. Instead the Hawaiians came out to greet him. King Kahekili gave Cook a feathered cape near Kahului Harbor. He was also met offshore of Hana a few days later by the Big Island’s King Kalaniopu’u and his nephew Kamehameha. 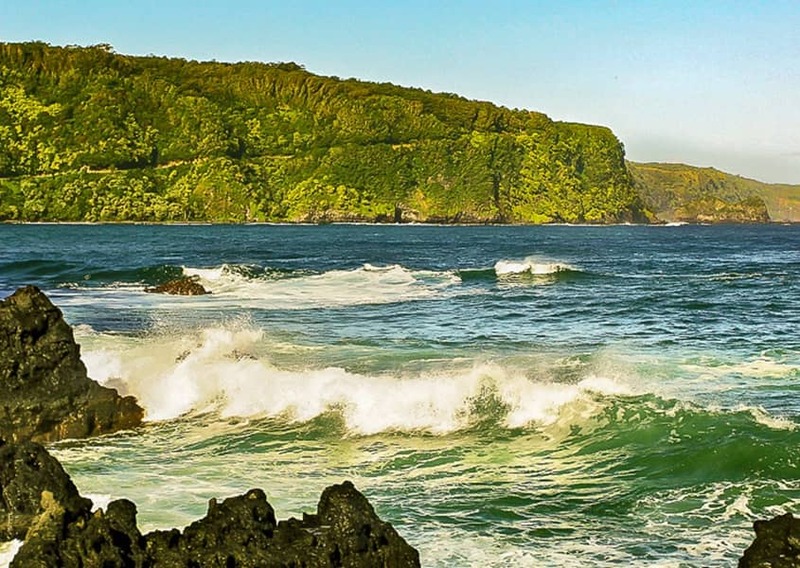 Hana was the site of several ancient battles by invaders from the Big Island. It was occupied by Big Island chiefs in the 1770’s. Sometime in the early 1780’s Hana was besieged by King Kahekili in a surprise attack. The village of Hana was usually defended from ocean invasions, but the wise warrior king sent his troops through Haleakala Crater to attack from the mountains above. Hana is believed to be the first place on Maui to cultivate sugar commercially. George Wilfong, an old sea captain, saw sugarcane growing wild here and started a plantation. 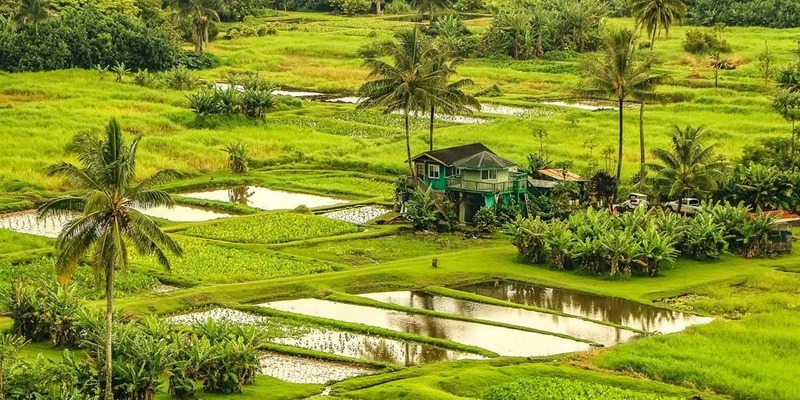 He would go on to built the first sugarcane mill in Hana in 1849.